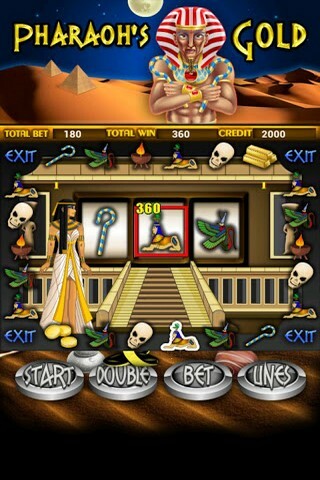 Play Casino style Slots in the amazing Ancient Egyptian-theme Casino. Win unlimited and Share your High-scores with your Friends on Facebook & Twitter. 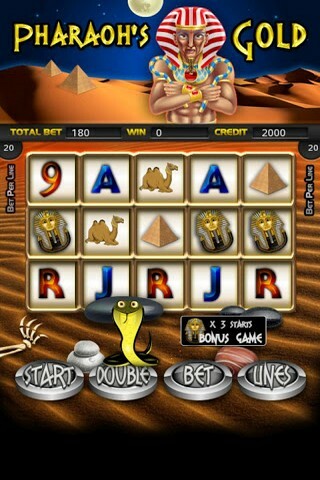 Now Get Rid of the Irritating Push Ads and Notifications with the latest Pharaons Gold slot machine Version. 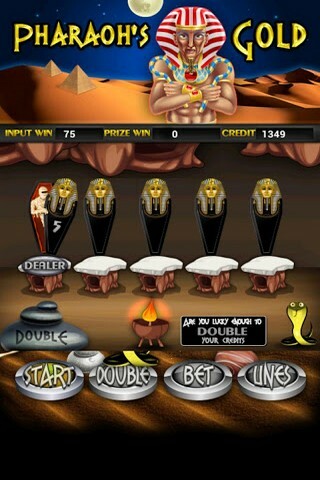 The Game is designed with Egyptian style Pharaons and brings players to the mysterious land of Egypt. Each spin can result in up to 9 winning combinations followed by a beneficial double round. The game also features the possibility of Unblocking new bonus game and Winning more with these Bonus games..